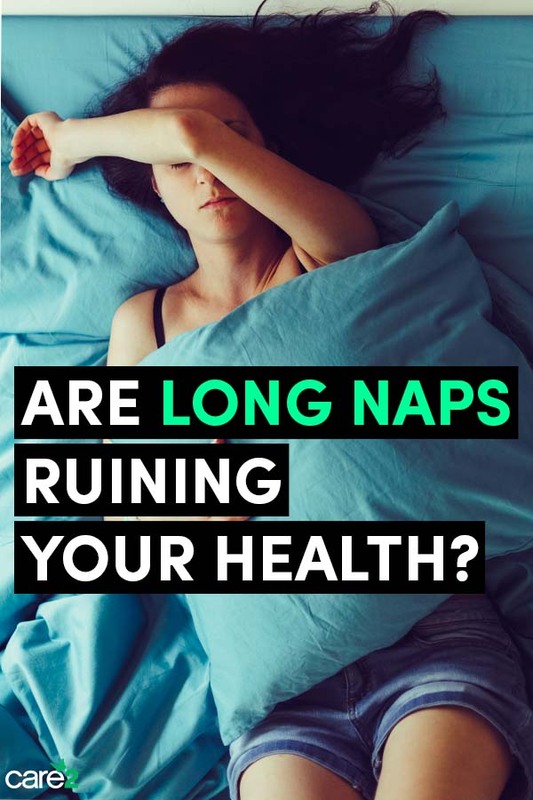 Care2 Healthy Living | Are Long Naps Harming Your Health? Have you ever taken a nap, only to wake up feeling more tired than before? Chances are your nap was too long. Your nap’s duration determines whether it’s going to be beneficial or not. A short nap can improve your alertness and mood, reduce fatigue and increase relaxation. Longer naps, on the other hand, can ruin your mood and even increase the risk of diseases. Before I share the effects of long naps, let me answer a question that’s probably in your mind right now: how long is a long nap? A nap that lasts more than 30 minutes is considered a long nap. Most studies show you only need to nap for 20 to 30 minutes to enjoy the optimal benefits. Other studies show that napping for as little as 10 minutes increases alertness. Most sleep experts say 20 minutes is the ideal nap duration. What could possibly go wrong if you overdo your afternoon nap? Here are harmful effects of taking long naps. 1. Long naps may increase your risk of type 2 diabetes. When researchers looked into 10 good quality studies involving more than 260,000 participants, they concluded that daytime naps that were longer than 60 minutes increased the risk of type 2 diabetes by 46 percent. The results showed that naps that were shorter than 40 minutes didn’t increase the risk of type 2 diabetes. 2. Long naps may cause nighttime sleep problems. If you struggle with insomnia, you may take long naps during the day to make up for the poor quality nighttime sleep. This consequently interferes with your sleep cycle and makes you sleep poorly at night, research explains. If you struggle with insomnia, try to eliminate naps altogether and find the real cause of your sleeplessness. 3. Long naps may lead to poor cognitive function. 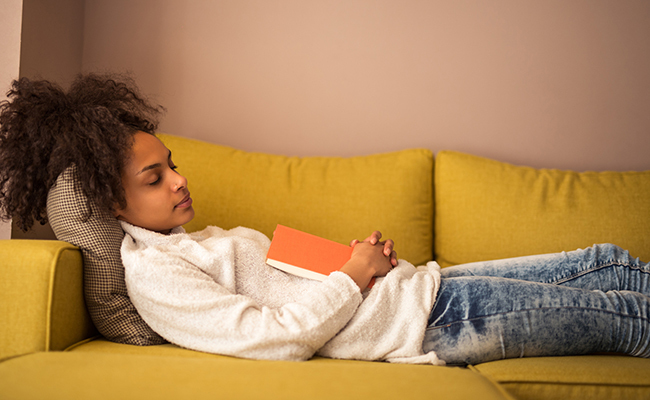 There’s a lot of evidence that napping for 15 to 20 minutes boosts cognitive function. However, longer naps have the opposite effect. Long naps make you fall into the deep stages of sleep. When this happens, you may feel groggy and disoriented. You’re better off taking a 10-minute nap, which can increase your alertness for up to 3 hours. 4. Longer naps may increase the risk of cardiovascular disease. Avoid long naps if you want to maintain optimal heart health. This study found that sleeping for more than 45 minutes during the day significantly increased the risk of heart disease. Surprisingly, napping for less than 30 minutes a day lowered the risk. 5. Longer naps may lead to early death. Because long naps increase the risk of conditions like diabetes and heart disease, they can lead to early death. Instead of taking long naps for energy, drink coffee. Studies show drinking coffee can help you live longer. Keep your naps short. 15 to 30-minute naps will improve your alertness and boost your energy. Nap in the afternoon. We usually have low concentration levels in the afternoon, so napping during this time helps. Maintain consistency with your naps. An inconsistent nap schedule can interfere with your sleep cycle. Therefore, nap at the same time every day. Nap comfortably. Nap in a comfortable and quiet environment that doesn’t have distractions. I'm re-tired, so I nap! Thank you. I found a short nap keeps well rested and I have more energy.